A merry, festive, happy, joyous season to you all. 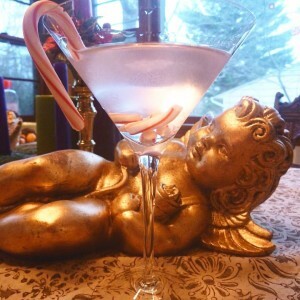 It’s that time of year where breastfeeding moms worry about two things: alcohol and peppermint! As lactation experts and IBCLCs, we at MommaArts thought we’d dispel a little myth and mystery so that your season may be brighter. Too often we’ve heard tales of “pump and dump” or of a nosy frenemy wagging their finger in judgement that we’re wrong to indulge with the occasional glass of wine or drink. The nay-sayers are simply wrong. Science and research rejects the notion of “pump and dump”. No longer do you have to toss perfectly good breastmilk because you had a glass of champagne or two. No matter when you drink – a glass of wine several times a week, or more seasonally when the holiday champagne toasts come – rest easy that following some simple, logical guidelines will help you enjoy your holiday, and keep nursing that baby. The General Rule of Alcohol: if you’re sober enough to drive, you can breastfeed. If you’d drive home from a party, you can breastfeed. Less than 2% of the alcohol consumed reaches your blood and milk. It peaks in your blood and milk stream approximately 1/2-1 hour after drinking (with obvious variations from woman to woman). So if you time your feeding and your celebrations well, you can raise that glass of good cheer and be home in time to put your little one down for their last night-time nursing. On to peppermint. Peppermint bark, mint hot cocoa, chocolate mints on every coffee table. We’ve all heard stories of peppermint drying up milk. In large amounts, the fresh herb and strong mints (like altoids) have been used and associated with weaning. That is true. Google any list on “how to wean” and mint will be mentioned. For the most part mint is recommended for weaning by using in large, frequent quantities – like a box of altoids a day, several cups of natural herbal mint tea regularly through out the day, etc. Frequency and potency matter! Putting a small amount of peppermint in hot chocolate, or a dark chocolate candy will hardly be enough to create much of a change in supply. To be on the safe side, if you’re a new mom, with baby still only a few weeks old and are working on building a strong supply, you might want to stay away from a lot of strong peppermint. But for a mom whose baby is a few months old, and who has a strong and regular supply – having a bit of peppermint bark or a peppermint stick in your martini won’t hurt you. Bottom line: let’s pay attention to our bodies! Enjoy yourself by paying attention to how you feel and how milk flows during the holidays. Indulge in the yummy treats out there, but keep a sensible eye to how your body reacts. Don’t stress it – just use common sense. There is so much to overwhelm and stress about during the holiday season – schedules change, routines get messed up, family boundaries, travel, food changes – all the regular routines of motherhood take a hit! So taking time to enjoy a little treat, while sitting in the glow of a holiday candle, Christmas tree or New Years fire-place – well, damn it, you’ve earned that moment, momma! Enjoy the season this year with common sense and good cheer! And remember, any breastfeeding questions about what you can and can not eat or drink, give us a shout. We’re so happy to bust through the “booby-traps” and myths that set women in the wrong direction when it comes to enjoying and sustaining a good breastfeeding relationship.